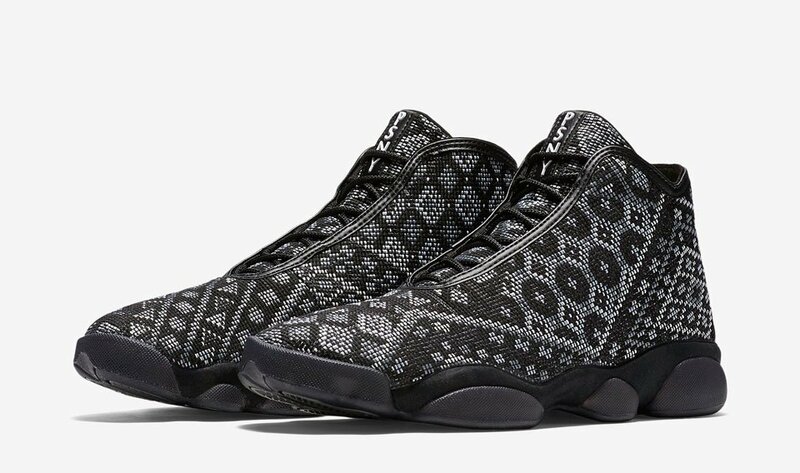 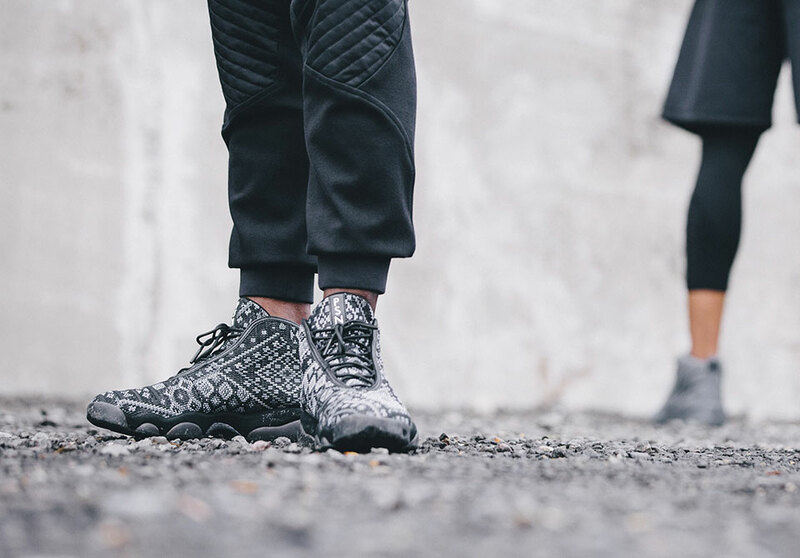 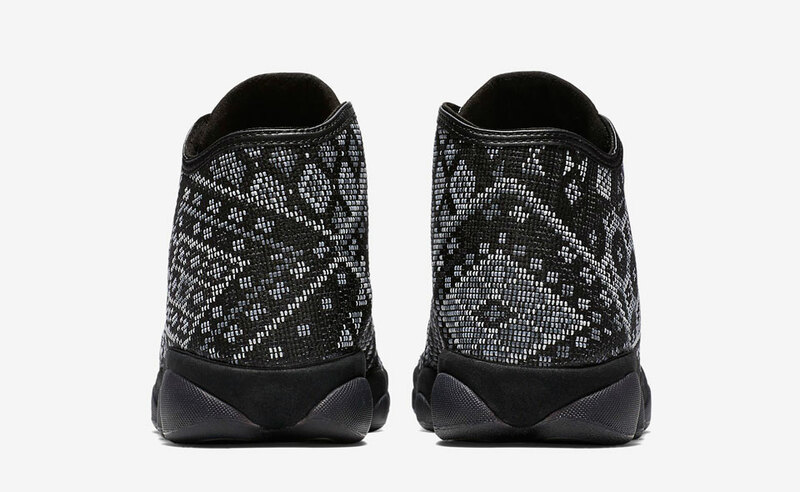 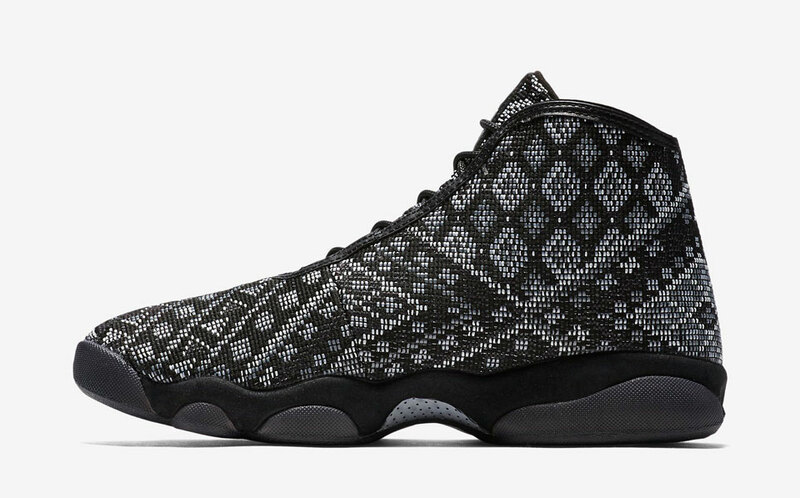 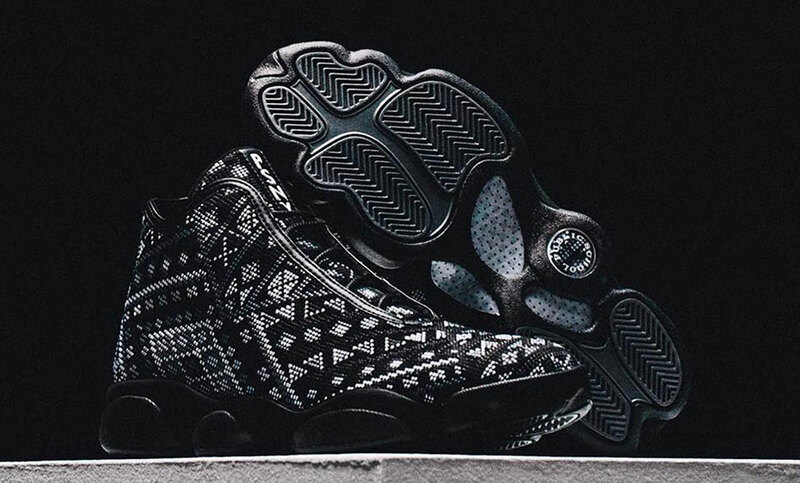 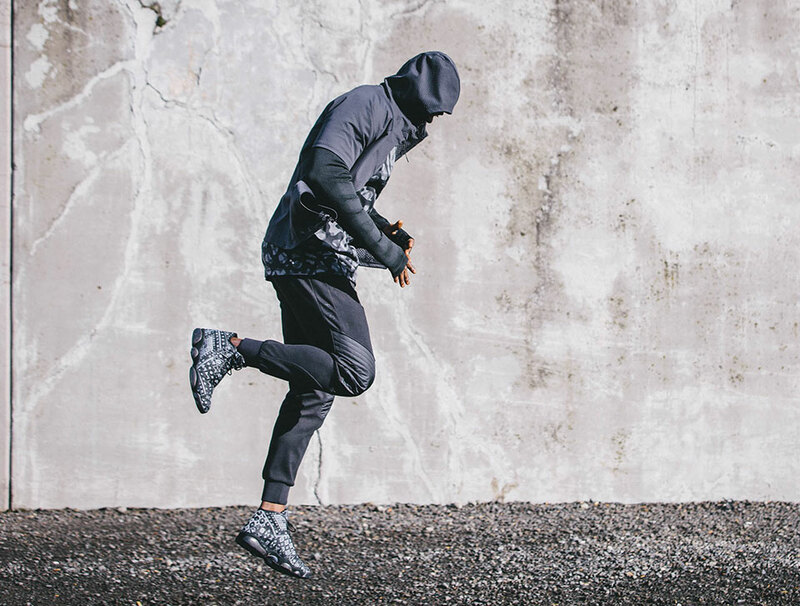 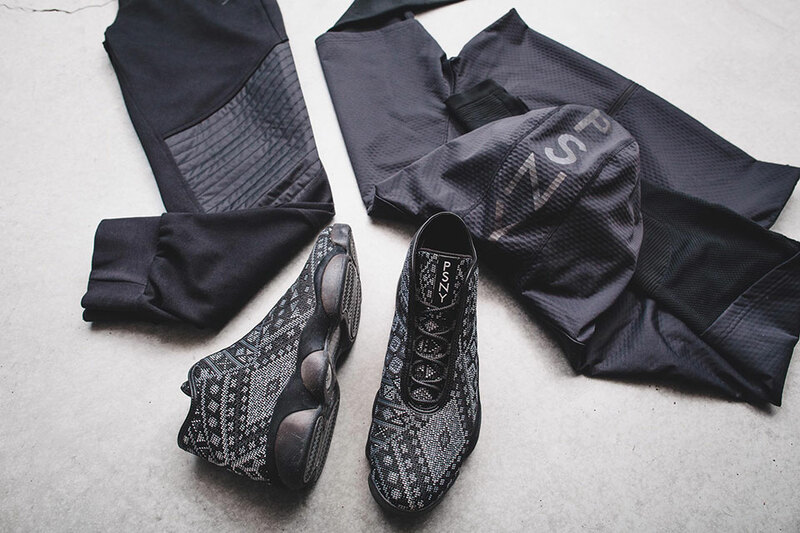 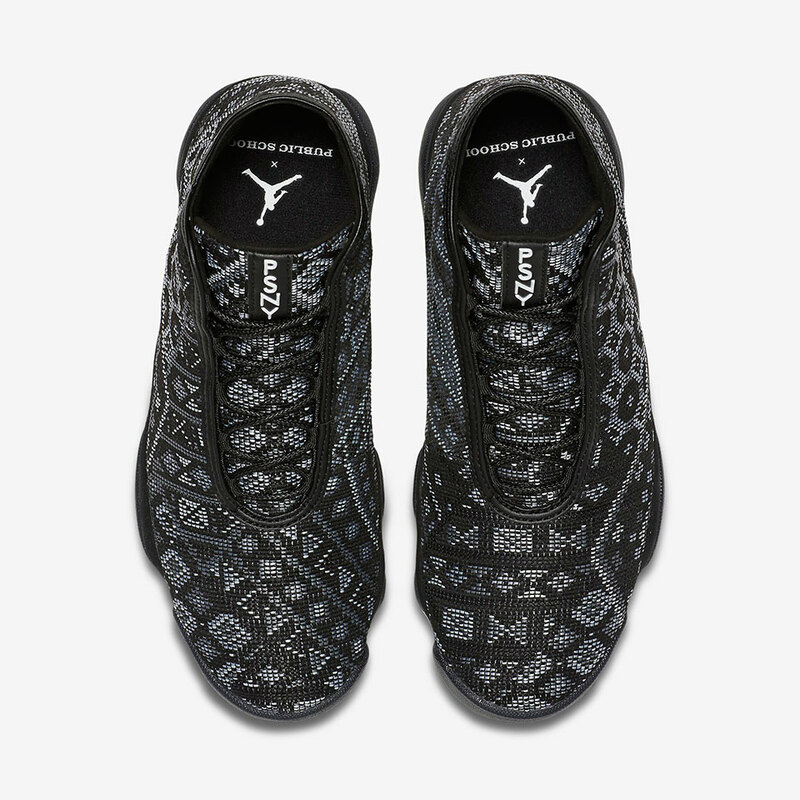 A variant of the Air Jordan XIII, the Horizon’s one-piece woven upper features an asymmetrical graphic print. 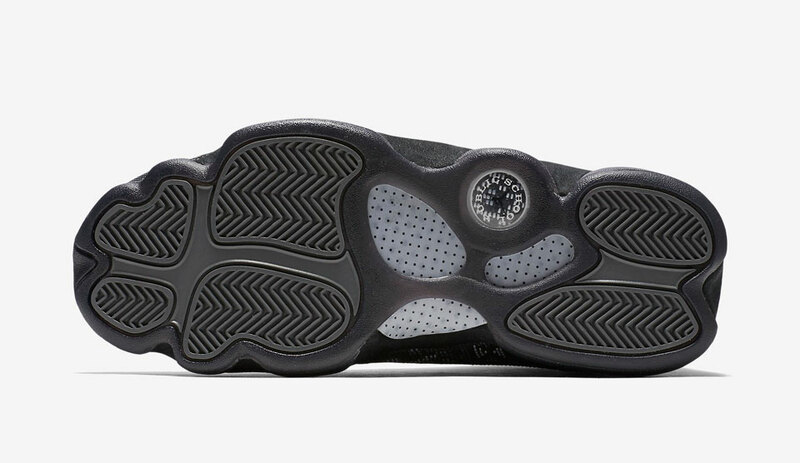 It also has a lightweight Phylon midsole. 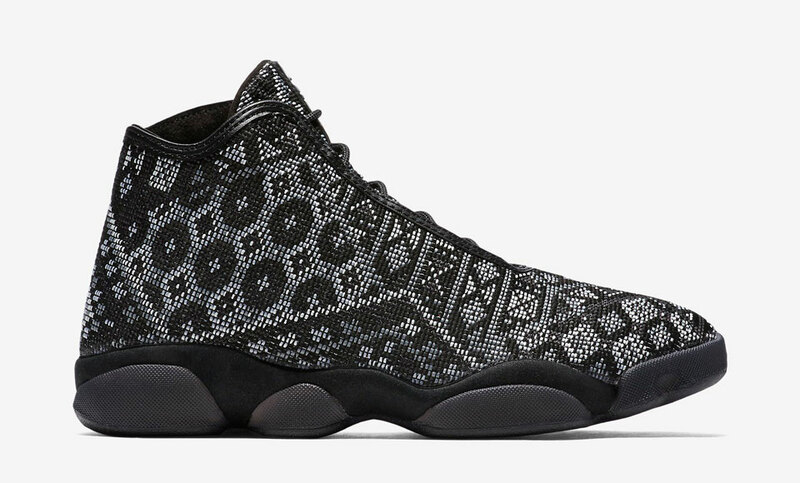 Part of the Public School and Jordan collection.